This article looks at Q-Art London: a cross college student- and graduate-led organization which aims to make the systems through which contemporary art is both made and evaluated (fine art education and the market system), more transparent both to those already in it and those struggling to find a way into the discipline. Q-Art’s founder, Sarah Rowles, writes about the reasons for setting up the organisation and gives insight in to its future plans to build on the current climate of open source, generosity, peering, and (mass) collaboration. 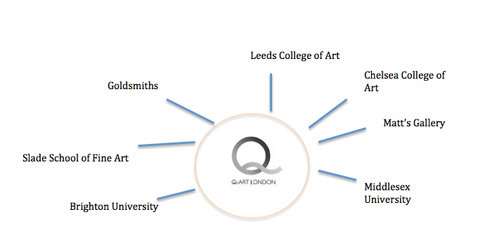 I set up Q-Art London four years ago while a BA Art Practice student at Goldsmiths College, London. 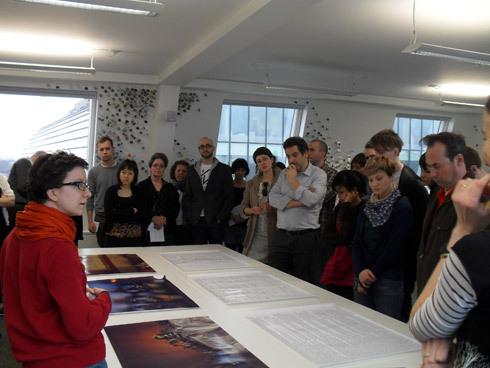 Convenors are cross-college crits that take place in a different London (so far) art college each month and are open to students of all colleges, graduates and self-trained artists to both present work and to attend as audience members. Those thinking about going into art education or those simply interested in or puzzled by contemporary art are also invited to join us, as they are to all our events. An annual exhibition takes place every November/December at the Art in Perpetuity Trust (A.P.T) Gallery in Deptford and shows the work of all of those who have presented at a convenor. 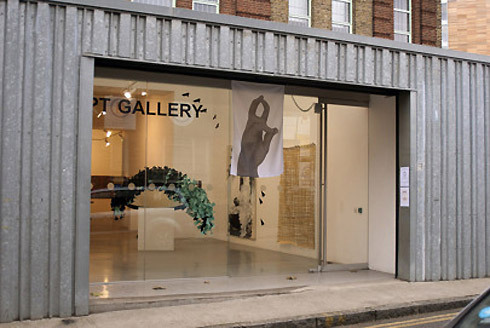 Gallery visits are bi-monthly tours around galleries in areas of London (so far) where gallerists talk about how and why they set up the space and what work they are interested in. 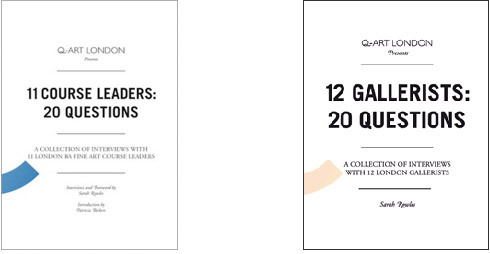 Publications: we have published two books 12 Gallerists: 20 Questions: a selection of interviews with 12 London Gallerists, and 11 Course Leaders: 20 Questions: interviews with 11 London BA Fine Art course leaders (with an introduction by Patricia Bickers). These are sold at our events and throughout UK bookstores, with income contributing to Q-Art’s core costs. Convenors were set up out of a real interest that both myself and my peers had at Goldsmiths about what type of work was being produced by students at so-called ‘competing’ art colleges. When would-be students apply to study Fine Art at HE level all of the big institutions turn on their PR machines in order to compete for our attention – yet we can only pick or be given a place at one to study at. As a result we’re all left with questions: Are the colleges really different or is it just PR, a brand? How does the teaching differ between colleges? What will I miss out on by not choosing the other? And would I be making different work if I attended another college? Q-Art convenors were about physically seeing inside other colleges; seeing students from a range of colleges present work; gaining a mixed perspective from the views of those of various colleges and levels of study; and meeting people that we’d perhaps never otherwise meet. The convenors inevitably lead to new friendships, collaborations and continue to foster peer-led learning, exchange and review. To this date no tutor has been present at a convenor. 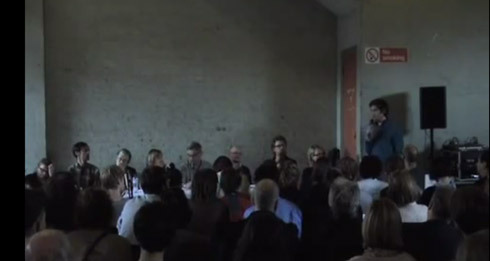 The convenors were also set up to provide a place for graduates to continue discussion around their practice, extending the familiar crit format after they’d left their college. They also offer an informal professional development model for current students to see how those who have graduated are sustaining their practice. Finally, the convenors also open college doors to those who have not studied art education, offering an informal yet very committed form of widening participation (WP). Prior to studying at Goldsmiths (and as a WP entrant) I’d never been exposed to contemporary art and struggled a lot on the course, having opted to study a year of art history first to try and find a way in (which didn’t work). I wish I’d known of the convenor/crit model then and had had the opportunity to sit in on one. So part of my intention was to allow others in a similar situation the chance to see what’s going on. For those coming across contemporary art for the first time, the discussions give a real insight into an artist’s intentions and why a work looks as it does. Our annual show exists to provide a platform for exhibiting away from the usual ‘who you know’ cliqueness of the art world. By providing a space for all of those who present in the convenors (places are allocated on a first-come first-served basis to anyone who asks) we attempt to strip away any bias or hierarchy and hand control back to early career artists. 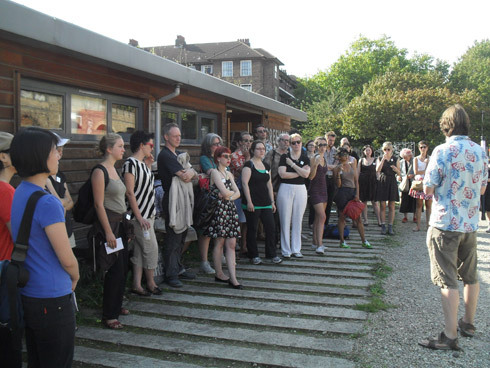 Our gallery visits are a way to see different types of spaces that exist in London and the range of strategies deployed by artists to set up and continue with their practice. Our publications and panel discussions aim to demystify areas of contemporary art for both those in the discipline and those outside. Our first book 12 Gallerists: 20 Questions looked at the types of gallery spaces in London, asking them real questions around how they set up, why, whose work they show, how they find their artists, who they sell to, who they won’t sell to, how work is priced and how the transition from art school to gallery to museum works. This book was launched at our panel ‘Who Decides the Value of Contemporary Art’ (chaired by Julian Stallabrass) in which students were given the chance to ask gallerists very direct questions about topics they wouldn’t usually get to speak to them about – if they got to speak to them at all! 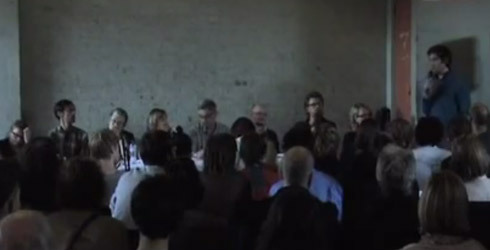 Our second book 11 Course Leaders: 20 Questions was launched at the panel discussion ‘Where in Art Education does the Education Take Place?’ with all of the London BA Fine Art course leaders present. The book asked the course leaders about their own art education, how it compares to now, their route into and motivations for teaching and why they teach the courses they do. It also asks them for their take on some of the current debates going on in art education and the rise of alternative platforms for education. The panel discussion provided a chance for students to ask questions of the course leaders and interestingly, it also provided a space for the course leaders to meet and have these discussions. Over 200 people attended. It was at this point that I realised that Q-Art does not just have the potential to link students; it also has the potential to link and foster discussions and awareness of other learning environments and best practice in art education amongst staff. It is a simple diagram that shows a few of the colleges and galleries we have worked with, as well as those outside of London we are starting to make links with. In this diagram we are in the middle because we are the place where all of these institutions meet. As we have no physical base and no core funding universities and gallery spaces have collaborated with us on publications and events and by sharing their e-marketing platforms. More importantly they continue to give us regular spaces to hold events and resources in kind. 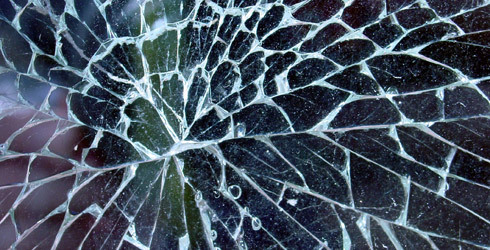 When it comes to engaging with the debate on the future of art education, and alternative platforms for education, we are very keen to resist being categorized as an ‘alternative school’. Instead we emphasise that we work with and not against universities, learning from them, championing the work they do and sharing good practice. This is not to say that our autonomy isn’t crucial, it is. As well as allowing us the freedom to maneuver as we wish, we are also able to actively undergo collaborative research projects without any bureaucracy, research points, funding applications or institutional barriers preventing us. In early 2012 we carried out an anonymous online survey among some of our 3000 subscribers - which saw 68% of respondents admit to feeling unconfident in speaking out in a crit and 82% saying they'd appreciate some kind of assistance or resource to aid with the process of 'reading' art and speaking about art in galleries, crits or studio situations. Talking about art is an essential component of undergraduate level art education and techniques for a visual ‘reading’ of a work is something that we have often felt is assumed of many BA entrants, rather than learnt. Difficulties around speaking about art may arise from various areas and is a difficulty our team recognise both from our experience at art college but also our experience of Q-Art’s own convenors – where I myself admit to spending a lot of time silent, finding it difficult at times to penetrate the discussion. Language barriers (subject vocabulary, second languages). Looking at all of these areas we are asking school, foundation and university tutors as well as gallery educators from around the UK to come together to pool knowledge, research and examples of good practice of leading crits and facilitating a discussion of art. We know how much good work exists on this topic and so rather than cover very well researched ground our goal is to tap into the current culture of generosity and sharing in order to create a dynamic and accessible resource that can be shared by all. Our previous presenters have also contributed tips and content for presenting work and for participating as an audience member. The qualities I have talked about: collaboration, openness, peer production / evaluation and sharing, are characteristics cited by Don Tapscott and Anthony D. Williams in their book Wikinomics, in their forecast of how society, business and our institutions are changing. They are also terms that keep popping up in ‘State of the Arts’ conferences, this year in Salford. For us the ultimate goal is to communicate to and allow as many people as possible a way into contemporary art – and to even the playing field a bit. Sarah Rowles is Director of Q-Art London and author of Q-Art’s two publications 12 Gallerists: 20 Questions and most recently 11 Course Leaders: 20 Questions – which sell throughout the UK to raise money for, and awareness of, the organization. As well as running Q-Art, Sarah is also Weekend Manager at Peckham Space, Camberwell College of Art and has currently been commissioned by a-n to research professional practice provision in HE BA Fine and Applied Art courses around the UK.